EDINBURG — Pharr native Omar Ontiveros was in eighth grade the last time he played for a soccer team in the Valley. Rather than continuing on his path to Valley View High School, Ontiveros moved to Bradenton, Florida, to enroll in IMG Academy. After three years there, he joined the U-20 squad of Mexican club Santos Laguna for about six months, then spent a year and a half with Club Sportif Grevenmacher in Luxembourg. Last week, he finally had a chance to make a homecoming, officially signing with the RGV FC Toros on May 5 following an open tryout in January. His first game on the roster kicks off at 7:30 tonight, when RGV FC hosts the Swope Park Rangers at H-E-B Park. Ontiveros joins a back line that has been a point of strength for the Toros. RGV FC is one of just three USL teams to have conceded four goals or fewer so far this year. Ivan Magalhaes and Kai Greene have played every game to this point in this season, but the other two defensive positions have shuffled. 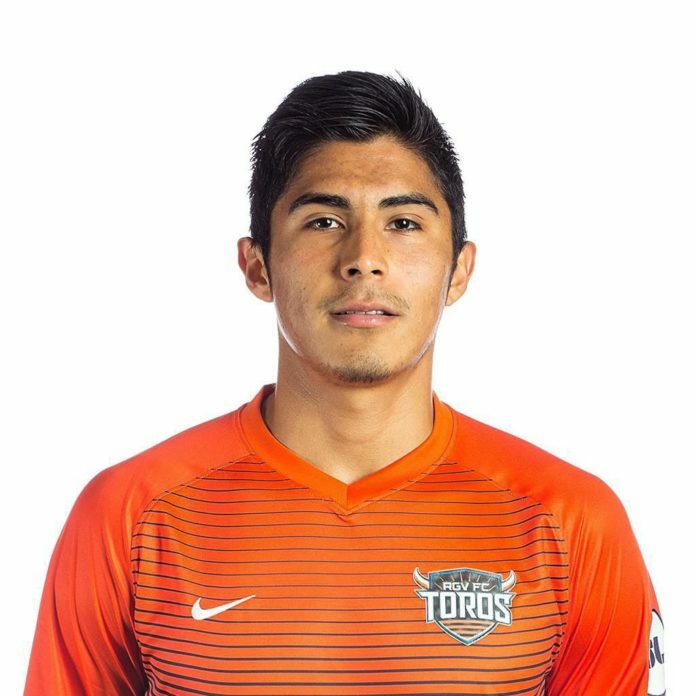 Dynamo assignment players Taylor Hunter and Kevin Garcia have played four and one matches, respectively, while another Valley native, Victor Garza, has also played four matches. Robbie Sagel has appeared in four matches but missed the team’s most recent outing on April 29 after suffering an injury during a match April 22. RGV FC coach Junior Gonzalez has been watching Ontiveros throughout the year, running him through the team’s training sessions ever since the team held open tryouts on Jan. 14. Ontiveros described himself as an aggressive defender, and Gonzalez said RGV FC valued that he could play any position along the back line. He can also slot in at defensive midfielder in a pinch, Gonzalez said. Ontiveros, 21, left the Valley at about age 14, when he followed the footsteps of his older brother, Martin Ontiveros, to play at IMG Academy. After Omar’s stint with Santos Laguna, he and his brother tried out for Ehrenpromotion teams in Luxembourg, each finding a new club. Luxembourg is smaller in both size and population than Hidalgo County, so Omar and Martin shared an apartment. The brothers also faced off on the pitch for the first time, with Martin winning both matchups. Omar scored twice in 1,054 minutes across 12 matches with Club Sportif-Grevenmacher. Omar said his goal now is the same as most of the Toros: “To try to play at the highest level.” Specifically, he said he’d like to someday crack a top-flight European team. He also has the opportunity to pave the way for more local players to earn a shot with RGV FC. Dynamo Assistant General Manager Nick Kowba said in a release that the Valley holds a “wealth of talent,” and Gonzalez said he hopes to build a pipeline for any deserving RGV talent as time goes on. “Once we get through the season, it’s important that we also set up a scouting network and start hitting the Valley and the local areas to see if there’s more talent that can help us in the tryout process,” Gonzalez said.